Success in products liability litigation requires experience and diligence, since most product manufacturers will vigorously defend claims against them, and they have virtually limitless resources with which to fight. Winning such cases depends on aggressive representation. Though all cases are different in some respect, the following are some basic procedures that normally are encountered in each case. Our first priority is to secure the product in question and to make sure that all evidence is preserved. This is absolutely vital in cases where a particular unit of a product is at issue (unlike drug defect cases). 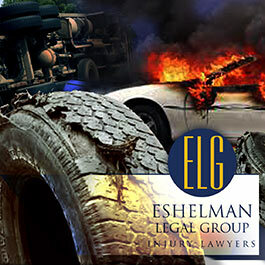 In cases involving a motor vehicle (rollover, blown tire, fuel tank explosion, etc. ), it is important to secure the wreckage, even if it must be purchased. Once a product is lost it is gone forever, and reconstruction of the cause of an accident becomes vastly more difficult. Realize also that a manufacturer will seek to obtain the product involved before you do in the event it knows the circumstances of an accident, which underscores the need to act promptly. After obtaining the product at issue, it is equally important to store it in a safe place where it cannot be altered or damaged. 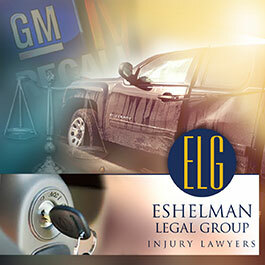 In the event that you are unable to retain the product at issue (most likely in auto defect cases) immediately after an accident, it is important that we give notice to all parties who come in contact with the product that they must preserve the evidence and that if they fail to do so action will be taken against them for altering or destroying the evidence. It is often necessary for us to file a court action requesting a temporary restraining order and a preliminary injunction in order to properly secure the property and prevent it from being transferred, manipulated, sold, or otherwise altered. In order to properly bring a lawsuit against the appropriate parties, it is necessary to assemble a complete history of the product. All parties in the distributive chain should be identified, and the date of transfer between each party should be determined as well. All manuals, instructions, warranties and all other written material that accompanied the product at the time of the original sale and distribution should be gathered. In the event the product was modified or altered in any way, details of what, where, when, and by whom should be obtained. Additional investigation should then be performed to acquire all materials related to the product, such as manufacturer’s specifications, advertising brochures, instruction booklets, technical data, parts lists, repair manuals, catalogs, advertisements, blueprints, diagrams, and engineering notes. Where feasible, it is also often prudent to purchase additional new versions of the product for independent review and testing, and evaluation of the most recent materials that accompany the product. When preparing our case, we review federal and state laws, regulations, and safety orders concerning certain types of regulated products. 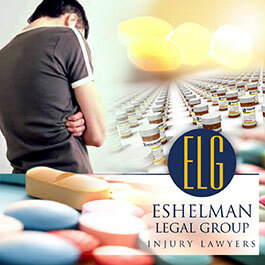 For these products, non-compliance with the laws and regulations can form a powerful basis for alleging defect. Drugs, buildings, automobiles, boats, water, air, food, insecticides, medical devices, aircraft, hazardous substances, highway safety, packaging, mobile homes, natural gas pipelines and occupational safety are some common items of the many areas covered by government regulations which set standards of conduct and performance. Many of these regulations are policed by agencies that can be a valuable resource as the case moves forward. Among the better-known agencies that we may contact regarding your case are the U.S. Consumer Products Safety commission, the National Technical Information Service of the U. S. Department of Commerce, the Occupational Safety and Health Administration (OSHA), the Environmental Protection Agency, the Food and Drug Administration, the Bureau of Radiological Health, the National Highway Traffic Safety Administration, the Federal Highway Administration, the Transportation Research Board, the United States Coast Guard, the Federal Aviation Administration, the National Transportation Safety Board, and the Federal Fire Council. In addition, we may contact any one of a number of private entities that conduct research regarding various types of products. These companies can also be a valuable resource for providing information and data to support a products liability case. In virtually all product liability cases, the services of a qualified expert (and in many cases several experts) is necessary to assist in proving that a product is defective. Experts are generally professionals in a given field, ranging from professors and engineers, to technicians and mechanics, among many other sources of occupations. In addition to utilizing engineering testimony, consideration should also be given to psychologists or experts specializing in the field of human factors. A human factors expert is someone who is trained to anticipate the actions a reasonable person might take when approaching and using a given product (often machinery or power equipment). Such testimony is often helpful in establishing that a product was defective due to design defects, or inadequate warnings or safety devices. In appropriate cases, testing, either destructive or non-destructive, may be necessary to determine whether there is evidence that the product failed or could fail in the manner theorized by the plaintiff. 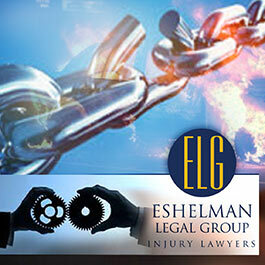 Finally, the “discovery” process in litigation allows us to obtain significant items from the manufacturer. Using a form of written questions to the defendants called “interrogatories” in conjunction with a request for documentation, we are able to identify and locate blueprints and diagrams of the product and component parts, the materials used in manufacture and their suppliers, a breakdown and analysis of the manufacturing and quality control processes, the schedule of inspecting and testing of the product, patents and patent applications, dealer bulletins, advertising materials, trade journals and scientific journals, and manufacturing or design changes relating to the product. These items can be indispensable to an expert testifying on a plaintiff’s behalf, and may also allow comparison with any local or federal laws regulating the product. Interrogatories also allow us to identify each person connected with the design not only of the product in question, but of similar products, including employees of the manufacturer and others consulted concerning the design. Reasons for selection of the design in question should be explored, as well as a description of safety features, the persons designing such safety features, and all subsequent testing of safety features. Information regarding safety devices known to a manufacturer but not used should also be obtained. In addition, a description of each test conducted by the manufacturer during the design process, along with all test records, should be obtained from the defendants. Interoffice memos, letters, bulletins, emails, and notes should also be obtained and evaluated. For more information about product liability claims, or if you would like to schedule a free consultation, call our experienced Cleveland product liability lawyers by calling (800) 365-0001. Don’t try to go this alone. Get the experienced, professional guidance you need to win your case.